The following is a guest blog post from one of our contributors, veteran health care journalist Trudy Lieberman. Trudy keeps an eye out for the way in which health care topics are promoted to the public, and this is one of the latest to catch her eye. Imagine a world where no one would suffer from acid reflux disease. 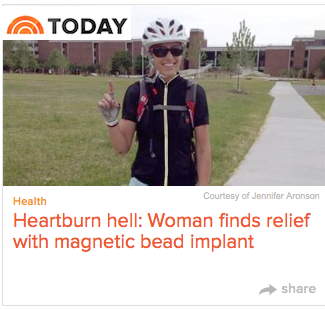 You might think such a thing just might be possible after reading “Heartburn hell: Woman finds relief with magnetic bead implant,” published a few weeks ago on the website for the NBC Today Show.. It was a story about 28-year-old Jennifer Aronson who’s had digestive problems since childhood. We’re told that she could barely swallow a sip of water without it coming back up. Recently, she traveled to Froedtert & the Medical College of Wisconsin to have a magnetic string of beds surgically implanted in her esophagus. Ever since her surgery, Aronson said she’s leading a normal life. TODAY’s piece read almost like a press release from Torax Medical, the firm that makes the device. It had all the earmarks of a marketing pitch for the LINX, the implantable device the FDA approved in 2012, and it’s a classic example of how marketers of drugs and devices use journalists to help them diffuse their products into widespread clinical practice. The story glowed with the positives and downplayed the negatives. Readers learn that acid reflux disease, which it said affects at least 10 percent of Americans, “is more prevalent than ever” with an expanding market for drugs to treat it. Are more people getting acid reflux disease, or has industry simply figured out a way to expand this market like they have with so many other drugs and devices? The Torax website is carefully designed to facilitate the proliferation of the device. It provides a list of hospitals performing the procedure, and there are more testimonials touting its benefits. A sub-theme from some of the testimonials seems to be that medicines like proton pump inhibitors don’t work very well. Alie, a 24-year-old from Boston, said she had been on high doses of proton pump inhibitors that caused a hospitalization. Her doctor said there was nothing more she could do for her. She had to have surgery. “I feel really, really strongly this procedure actually saved my life, she says. And even though there’s a recovery period, it’s worth it, Alie explains, knowing that “for the rest of your life” you’ll feel so much better. Then there’s Tricia, a California outdoor enthusiast and surgery nurse who says, “the biggest misconception is that pills are going to help. Pills don’t help a mechanical problem. They mask a symptom, adding “what a simple mechanical fix for a mechanical problem.” Like Alie she says LINX gave me “back my life,” and she no longer has to take medicines or antacids. TODAY did acknowledge that first line treatment should be lifestyle changes and mentioned one significant drawback. “Five or ten years down the road we don’t know it will work,” says Dr. Karthik Ravi an assistant professor at the Mayo Clinic. There are no long-term experiences with LINX in a large population. Larry Sasich, co-founder of Patient Drug News who once worked for Public Citizen’s Health Research Group, told me the recommendation his group has been using is to avoid new drugs for seven years until there is a clear track record for safety. Should the same apply to medical devices given that the FDA quickly approves drugs and devices these days and that problems have arisen with some of them? Cleaning problems with duodenoscopes and the cancer risk from using morcellators to break up fibroid uterine tumors come to mind. There are other drawbacks TODAY didn’t get into, but the FAQ on the Torax website hinted there might be some. One revealed that MRIs are only considered safe in scanning machines with a magnetic field strength up to 0.7-Tesla (0.7T) and patients should discuss the procedure with their doctors. I asked Harold Demonaco, an expert member of the HealthNewsReview.org contributor team, what that meant. “The vast majority of MRIs in the U.S. are either 1.5 or 3T. The LINX is NOT safe for anything over a 0.7T which essentially means the device precludes use of the majority of clinically available MRI,” Demonaco said. Another FAQ said LINX uses “permanent magnets that are designed never to wear out.” Hmm. The “Indications for Use” section of the website states that one of the potential risks associated with LINX is “device erosion.” Did that mean it might wear out? GERD sufferers might want to know that. And they might want to know that studies have shown that the removal rate for the device has been between three and six percent. 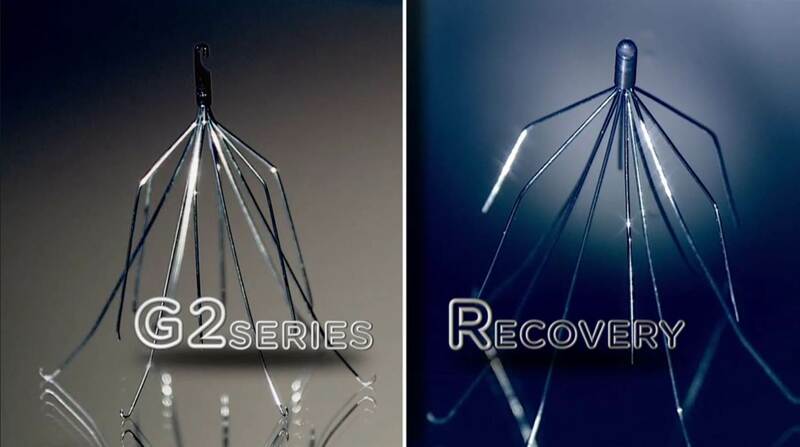 Besides device erosion, the manufacturer lists these potential risks: dysphagia, stomach bloating, nausea, odynophagia, increased belching, decreased appetite, inability to belch or vomit, flatulence, early satiety, device migration, infection, pain, and worsening of preoperative symptoms. The TODAY story didn’t mention any of these. This all means that prospective patients need to ask a lot more questions and so should have the TODAY reporter. News release journalism might help boost web traffic but does little to help patients navigate the complexities of medical treatments. Why does psychiatry so often get a free pass on standards of evidence? Hi, I appreciate your lengthy post but I wanted to respond and clarify a few things. I’m Jennifer Aronson (the person interviewed in the TODAY show article). First, you mention that the story played up the positives and downplayed the negatives. The reason for this is because my experience with the Linx has been nothing but positive. When the reporter interviewed me, he asked MANY questions (including questions about those symptoms you listed at the end of your post as “negatives”–belching, inability to vomit, dysphagia, etc. The reason those are not mentioned in the article is because I have not personally had any of those symptoms since the Linx was put in. I used to have all of those symptoms and since the surgery, I now have none of them. The only problem I had was some minor dysphagia which is normal as my esophagus got used to having the Linx device there when I swallowed. The dysphagia lasted for a short period of time (2-3 months) and now is rarely a problem. When deciding to get the surgery, I was well aware of the potential side effects and weighed them against the negative side effects of the traditional surgical approach to treating GERD, the Nissen Fundoplication. The Nissen was more invasive, irreversible and had more side effects. More Nissen users have reported the inability to vomit/belch after the Nissen procedure than Linx users. Perhaps this is because the Nissen has been around a lot longer and has more research, but nevertheless, the fact that you are not able to reverse the Nissen truly scared me. I made the decision on my own terms after thinking about how each surgery and its side effects would fit in with my lifestyle. For instance, I know that I want babies someday and if I have morning sickness, then I want to be able to vomit without having to go get my stomache pumped. Also, there is a chance that the Nissen could loosen with time which would cause many complications too. For me, the Linx made more sense. Turning to your point about the MRI’s. I now have a little plastic card that I carry with me in my wallet that notifies people that I have this Linx device. So if I am going through TSA or in an airport and they see this metal device then I have proof. So far, nobody has questioned me and I do not “beep” when I go through metal detectors. I know that I am limited in my ability to have an MRI but if it turns out that I need an MRI badly enough then I have the freedom to take the Linx out or replace the magnets (since the MRI machine would desensitize the magnets). This was not an easy decision and was a very long process. The TODAY show did an excellent job in asking many thorough questions and the article was largely based off of my positive experience. Did I have GERD that effected my ability to live a normal life? YES! I am an attorney and barely had enough energy to make it to court each day because I couldn’t eat anything without it coming right back up. Did the Linx save my life? YES. Dr. Gould was excellent. You’re right, the Linx website has a list of doctors who perform the surgery and I emailed my medical records to ALL of those doctors (including doctors in Italy and France who have performed more Linx procedures than most American doctors). They ALL reviewed them and got back to me with a quote on how much it would cost to have the surgery (since my insurance carrier denied the surgery as it is still widely considered “investigative” rather than an accepted treatment option. This same resistance was in place when the lap band first came out and now it is approved by all insurance carriers). You said that “all prospective patients need to ask a lot more questions and so should have the TODAY reporter.” I couldnt agree more. I hope that all patients ask a lot of questions and to speak to your point, I asked A LOT OF QUESTIONS. And Dr. Gould answered A LOT of questions! Also, the news reporter asked A LOT OF QUESTIONS (both good and bad) but it is difficult to put every single fact into a limited news article. If a person is serious about any medical procedure, they should talk to their doctor about all of the potential side effects. Just because it was right for me doesnt mean it is right for everyone. This was just my account. I would be interested to know if you hear of any negative experiences that people have had with the Linx and would be open to discussing it further. I haven’t found any yet. This was not just “news release journalism” or “churnalism.” I have a degree in Communications and am very familiar with those strategies. The reporter reported the facts as I gave them to him because my experience was so positive. It may have seemed like he didn’t touch on many side effects but again, I think that the side effects are questions that each person should ask their doctor about if they are really serious in considering any medical procedure. For the record, he asked me about all of those side effects in our interview but I didn’t experience any of them so he didn’t feel it was necessary to report. If you have any questions that you would like to ask me personally, I’d be happy to talk further but I just wanted to clarify that some of the points you made were not completely true and to give you a little insight as to why I chose this surgery over the Nissen. First, I think it’s terrific that you’ve had a good outcome and that you’re happy with it. Trudy Lieberman wasn’t just writing about the Today Show playing up the positives of your experience. She was writing about the story’s overall treatment of the device in question. The Today Show story was not just about you, but mentioned that the approach “has already helped thousands of patients with chronic, painful heartburn.” But the story virtually ignored potential harms. As stated above, it’s great that your experience has been nothing but positive, but it’s the job of journalism to report with balance and completeness – and that includes covering potential harms, not just potential benefits. The plural of anecdote (one anecdote) is not data. We try to help consumers evaluate evidence, and to evaluate claims about interventions. You can’t evaluate evidence or claims when you only get half a loaf in news stories – only the positives. All interventions have tradeoffs. As a longstanding believer in fully-informed, shared decision-making, I believe that stories can deliver balanced discussions of tradeoffs, and they can do it within a reasonable period of time and within a reasonable word count. We have reviewed thousands of stories over the 9 years of this project. And all of those reviews are intended to improve the public dialogue about health care. I am one of those people that the Linx gave her life back. My surgery was a month ago. My recovery has been very mild compared with living with severe GERD. I had to follow a strict diet, take medications that was giving me more pain than before I took them and was unable to bend over without the acid from my stomach splashing into my esophagus. Therefore, simple things such as loading a dishwasher or washer/dryer were very painful. I asked many questions and did not take the surgery and risks lightly. But when you have zero quality of life, the LINX is a life saver. Not only I live a normal life with occasional swallowing issues, I’ve lowered my chances of esophageal cancer. I’m glad I did my research and had this surgery! It touches on issues that help explain why we critique news stories that fail to report on potential harms of interventions. I am chairman of the largest UK patient support charity for those concerned with acid reflux problems. I have studied the condition for many years and every day help people all round the world via email, on-line forums and facebook groups. I agree with Trudy Lieberman’s concerns. And, am happy Jennifer Aronson had such a positive outcome. 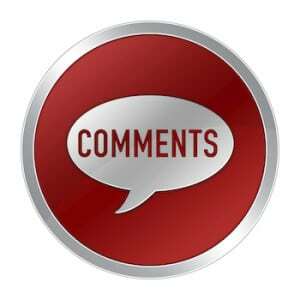 However, I am concerned about some of the comments both from the author and from the respondee. 1. The “device erosion” suggested is to the esophagus by the device. 2. Torax are now suggesting 1.5T MRIs may be usable. However, the concerns are not so much demagnetization of the device but that extremely powerful magnets are oscillating near other magnets on a metal wire. This can induce movement (and erosion) of the device and heat (like an induction grill). That said, of all artificial sphincter augmentation devices, it is probably the best with an 85% satisfaction rate over 5 years. I also wonder whether Jennifer was given false information as what she says about Nissen Fundoplication is not accurate. 1. If it were to be necessary, Nissen could be reversed. This is in fact a necessary precursor if the Nissen wrap needs to be redone. (Revision surgery.) (I, myself, have had Nissen and Collis-Nissen revision but won’t lapse into anecdotal evidence that may not be representative of the bigger picture. 2. I don’t know to what “side effects” of Nissen Jennifer refers. It is often claimed by those wanting the Linx implantation that you cannot burp or vomit after surgery. Whilst some may experience this discomfort for a short period after surgery whilst scar tissue heals, it isn’t anything compared with the 3 months of dysphagia she mentions. Nissen has been around for 60 years, the last 20 of which laparoscopically. A paper produced in December reviewing the cases of patients who had Laporoscopic Nissen Fundoplication 20 years ago, found 94% satisfaction rate using similar criteria to the quoted Linx study that showed 85% satisfaction. I am concerned about whether the device will still be providing that level of satisfaction 20 years down the line. And will it still be “reversible” once cellular overgrowth has “buried” it, and will its magnets still be able to move? Linx is new and shiny and over-promoted. And Linx implantation surgery is twice as expensive as LNF. It is sold as being reversible if it doesn’t work. Would you buy an expensive car if the salesman told you if you weren’t satisfied you could pay him to take it back and pay again for a cheaper car that is more reliable? Yet those who have been sold the “Linx dream” are indignant that many of their health insurance companies won’t pay for the device for them. Agree that the disparaging of a Nissen is straight out of the playbook by this companies PR material. A Nissen is a time tested and effective treatment with low morbidity and high satisfaction rates. It also doesn’t require a semi-permanent indwelling mechanical devices, a significant advantage to long term outcome. For patient’s to be considered for this procedure as 1st line surgery treatment, I think there should be a compelling reason why they aren’t surgical fundoplication candidates. My father died at age 83 from esophageal adenocarcinoma, caused by lifelong GERD. After he died, I had an endoscopy, at age 39, after suffering reflux symptoms for some time. I was not obese, but a little overweight. Endoscopy showed a hiatal hernia and esophagitis. I went on proton pump inhibitors, which I took for several years. I lost a significant amount of weight. AND MY REFLUX GOT WORSE. OOPS, I meant to write more before hitting ‘enter’. I tried lifestyle modifications. I also considered Nissen surgery, but it was scary to me, and at the time no other alternatives existed. I did not want my stomach wrapped around my esophagus. A few more years of awful nausea, burping, belching, vomiting, and I’d had enough. I researched online, and found the LINX device. I joined a facebook group to speak to other folks considering the device, and those who had received it already. And THEN I booked myself an appointment with my surgeon, and did additional testing, and got my LINX a year ago. Best. Thing. I. Ever. Did. I am cured of reflux, and don’t worry constantly about developing esophageal cancer. I got my life back. I think you guys are overreacting about the Today article – I am so glad to tell people about my improved health as a result of my LINX and am outraged that insurance companies are not covering it when it is FDA approved.